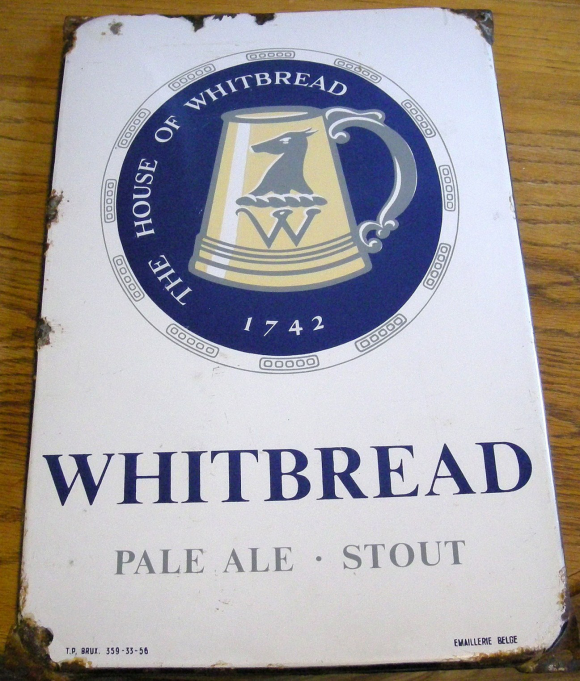 This is a rectangular Whitbread Beer porcelain sign. This particular Whitbread Beer sign is white with blue text. It reads, “Whitbread, Pale Ale, Stout, The House of Whitbread, 1742” and features a white beer tankard against a blue circle at the top of the sign.